Online reservations at Shirlee can only be made directly on their website. At Shirlee, guests can expect a renewed focus on French bistro and wine bar fare. 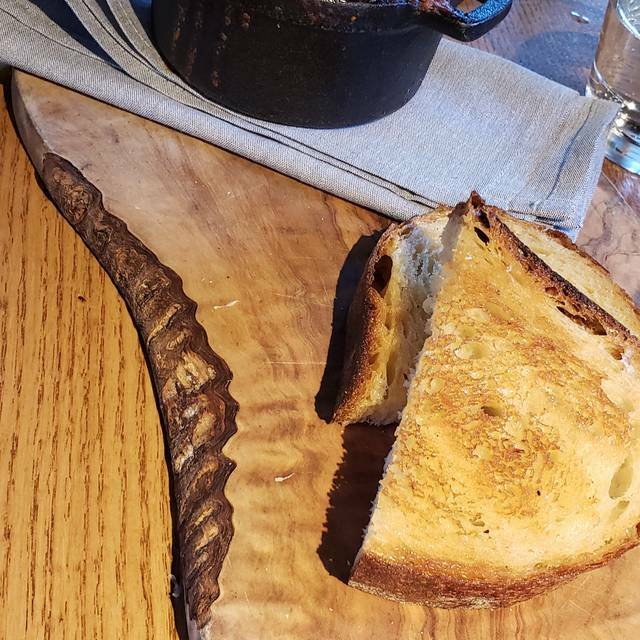 In addition to moving sourcing choices toward all things local, seasonal, sustainable, anticipate a larger wine list and classics like steak au poivre, the boat street pork chop, roast chicken, Parisian gnocchi, tartare, frites, duck confit, housemade charcuterie and more. We will continue to offer neighborhood favorites like the burger (now with dry aged, grass fed and grass finished beef from Bateau) and the fish & chips (made properly with large IPA battered cod fillets). The wine dinner event was fantastic! Look forward to the opening of Shirlee!! This is a wonderful neighborhood restaurant with friendly staff, creative and delicious food, excellent bar. Really nice cafe right on the bike trail. Good espresso, in-house baked pastries. Tasty, filling and yet not too big servings. Not the place if you want huge 3-eggs omelette with all the trimmings, but for me it is a good thing. With they still had cassoulet on the menu. Except for the one time when the food was very disappointing they have consistently served excellent food. We always enjoy going there, either just the two of us or with friends. During the popular hours, such as Saturday dinnertime, though the echoey noise level is overwhelming and takes away from the very positive experience. Friends who drove up from Kent to join us there liked it so much they want to drive all the way up again to eat there. American with slight French twist. The food was tasty and well prepared. I wish the side portions were larger. 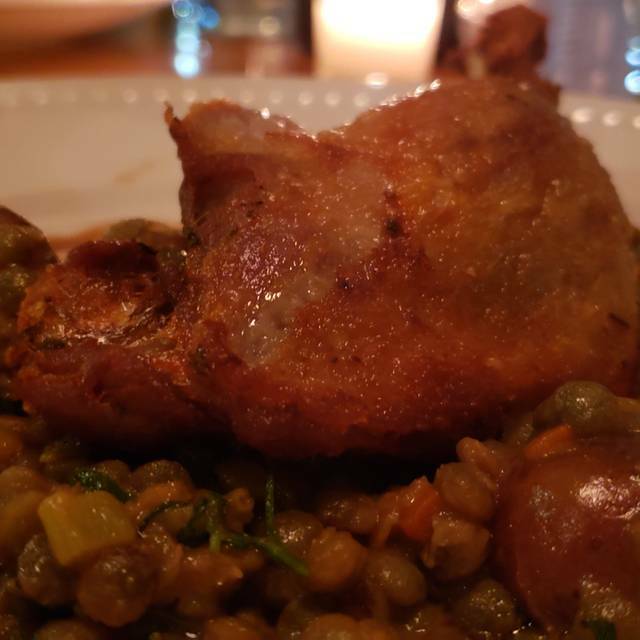 I got duck confit, which was crisp and perfectly cooked, but the lentils and potatoes could have used an additional vegetable. Service was pleasant and the cocktails were perfect. It's quaint. We squeezed into a small table, but we are petite. I was bumped into a few times. 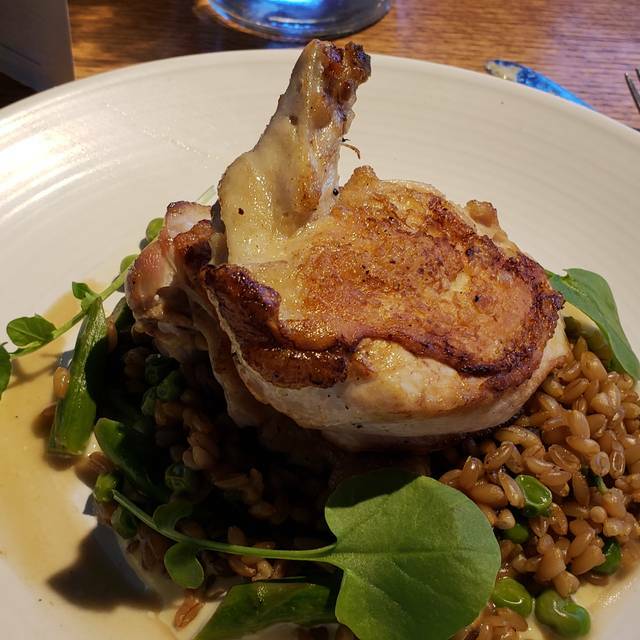 Overall, it's a delightful restaurant and atmosphere for north Seattle. Great little restaurant. Clean, modern decor, attentive staff and great food. Parking is sparse though. Anything other than the 8 or so spots out front, involves parking on or crossing busy 45th/Sandpoint Way. Dining with my elderly mother who can only walk limited distances, we were fortunate to get the last spot out front, otherwise we would have likely gone elsewhere. Food was delicious! Service was great. Only complaint was that the wine pour was quite small, especially at $15/glass. There's absolutely no padding anywhere, so if one group gets noisy, the sounds reflects all around the cafe. The low lighting encouraged quiet conversation, but if it wasn't quiet, it was too loud. In general, it gave me a hipster vibe-- some decorative bits were formal, others were casual, leaving me a bit confused on how formal they were aiming for. Dinner was a bit more pricy than tasty, and desserts were underwhelming. I love Saint Helen's and have frequented the restaurant to enjoy the charm ... and the Brussel Sprouts! So now, after you have me hooked on them, they are gone from the menu! "They are seasonal", you say? "BS", I say! Bring. Them. Back!!! Save the "locally sourced" blah,blah (everyone is using that old, tired line now) for something else on the menu, like wine! Service was slow, but very friendly. Great place to go for a Saturday brunch for food that will make breakfast your favorite meal. Delicious cassoulet and cinnamon roll. We came for a birthday and were not disappointed! The fish and chips were outstanding, the fried chicken sandwich was moist and tender and tasty! We had two deserts that did not disappoint. We will be back! Went her for brunch. It was really cute and the food was good but just a tad too salty for my tastes. We went to Saint Helens Cafe for a JM Cellars winemakers dinner. We had never been to Saint Helens before, but we will definitely be back. The food was amazing and the service is outstanding. Wonderful location. The wonderful outdoor patio makes it a great place to go when the weather is nice- outdoor patio with heaters and fire pit. This was a winemaker’s dinner so not your average dining experience. Since it was a sell-out event, I’d say the kitchen and staff did an excellent job of preparing and serving the food! The menu was oddly extremely heavy in meat (goose terrine, duck - excellent, a banger or sausage - smashed potatoes and succulent beef tenderloin. Really glad we all weren’t vegetarians at $125 person. All in all, excellent event, great food and wine and the service was fantastic. Great cocktails, fabulously attentive waitress, excellent decor and ambiance. Food was delicious - not many options for vegetarians, but they were accommodating. 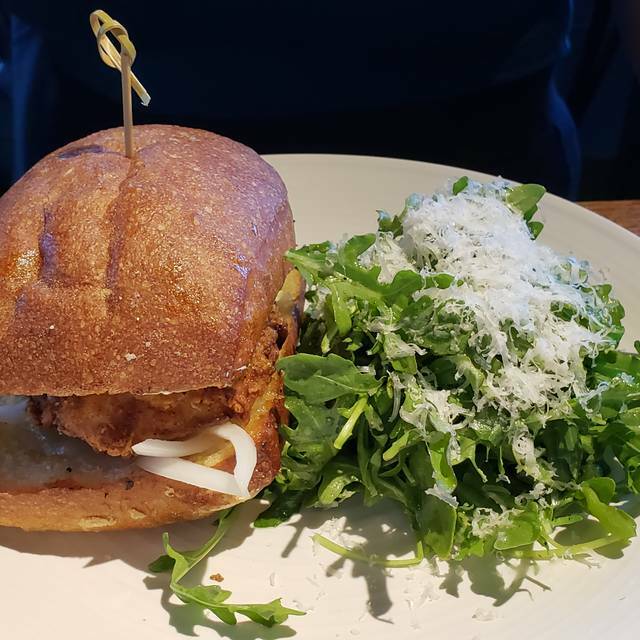 The fried spicy chicken sandwich is the bomb! Great fries and apps! New ownership changed menu for the worse. Too salty. Perfect spot with great food and perfectly timed service. I met a friend at St. Helens for her birthday and the experience great, warm, friendly atmosphere and the food was delicious as always. I tried two dishes I haven't had before - a cheese and blackberry plate and a bean stew. The waitress was gracious, treating us to complimentary glasses of champagne. We had a great experience here with a larger group. I loved the food and it was very relaxing to sit on the heated patio. Lovely dinner at St Helens Cafe during restaurant week. I will be back! visited with work friends, a perfect place to unwind from a busy work day. I enjoy being able to sit outside and we were cozy enough to really enjoy our meals. Food was delicious and the drinks were great. Enjoyed gazing at the outdoor fire pit as well. The food quality is once again as good as when they first opened. The roast chicken is amazing, atmosphere is great. The service was very slow. Food was good, but not outstanding. We had such a lovely time, and it was the first time we went. The staff was amazing, the food was incredible, and we couldn't believe how intimate and low-key the dining room area way. We will be back so soon! Great neighborhood bistro. Love the decor and the food. Ride your bike here, right off the Burke Gilman trail. Chicken was absolutely delicious. Out server was was very knowledgeable and friendly. Each course had excellent flavor. Our cocktails were pretty tasty well. Would definitely come back here especially for their Tuesday wine special. 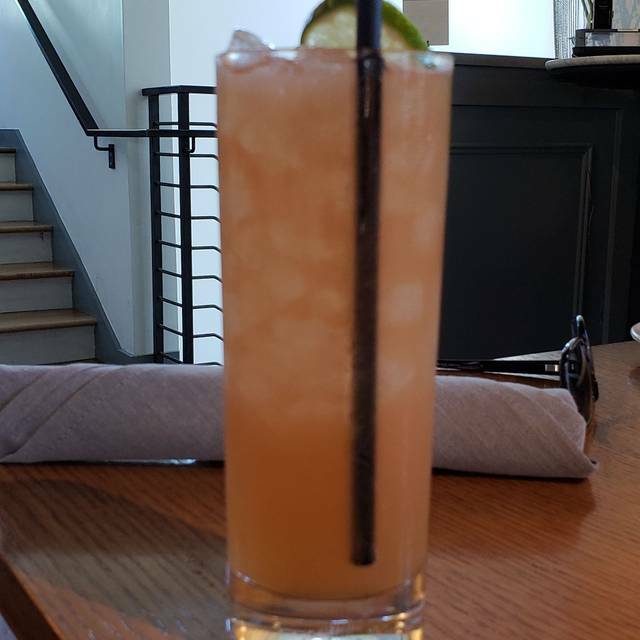 The location is great, the ambiance is great....we keep waiting for Renee Erickson to really take ahold of this neighborhood gem and totally revamp the menu and "Renee" it. The carbonara was literally swimming in egg yolk (yuk!) and the appetizers are really not that appealing or share worthy. It is a place you want to love but end up leaving disappointed time and time again. Sadly. Just want to know that help is on the way...soon!! This was good, not great. The food was just okay. Pretty bland one bite, very salty next bite.The decor is beautiful and the space is really unique and fun. Our server was really the only good thing about this as she was super friendly and nice. Overall, overpriced for the quality of the food. Birthday brunch on Burke Gilman trail near University of Washington. Limited brunch menu but able to find yummy chefs special frittata and son able to find healthy kale and mushroom with soft egg on top. Nice outdoor seating and cozy area inside with full bar. Bar menu larger then food. Really enjoyed the food and service. A bit more upscale experience than expected. Ambiance is great here. The food is tasty, and the servers were friendly. Really like the design of the place as well. Made a reservation on Open Table indicating it was a specialty wedding anniversary dinner. The meal and service was fine, though we had hoped for a more innovative selection of dishes and cocktails (much is the same as my own previous visits). I don't think they look at the comment section of reservations as the host and server made no mention of our special occasion and it was very slow that evening. Not sure if this is a one-off or the usual service level. Been here numerous times before but much less appetizing to return for personal or business meal visits in the future when many other choices available. 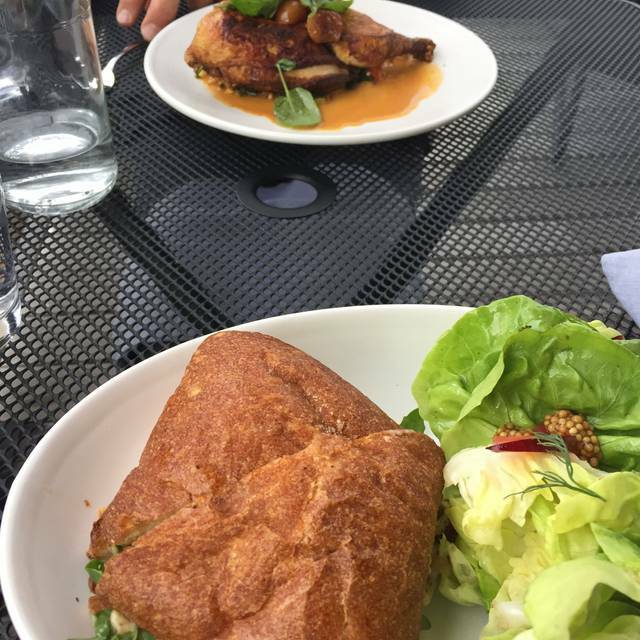 The restaurant was great, I had the fried chicken sandwich with arugula salad and loved it. However two others in our party got the Special which was a pork tenderloin with roasted potatos. The pork was overbrined and the potatoes were coated in salt. The other member of our party got fish and chips and the fish was also very over salted. I love salt, but felt guilty dragging everyone else out here only to eat desiccant packets. Service slow, food was good but garlic bread the most garlicky thing I've ever tasted. This restaurant is on the second floor; the signage could be clearer! Once you’re ther, however, it’s absolutely lovely! Servers are great, friendly and welcoming. The menu is interesting without being eccentric. The food is delish! Sorry, no pics...nothing left but a clean plate! I really enjoyed my experience at St Helens! Our waitress was delightful and the food was amazing! I really liked the vibe of the whole place as well!